In rural Uttarakhand, where 40% of the population already lives below the poverty line, survivors of the disastrous floods of 2013 are sinking into despair. Many have lost their jobs, businesses, farms, homes and precious loved ones. Now, they yearn to simply earn a wage, so that they can put food on the table. Without work or economic opportunity, many people are feeling forced, out of necessity, to migrate to distant cities. Sadly, in some cases, such migrant families may find themselves living in the claustrophobic squalor of urban slums, in even deeper poverty. 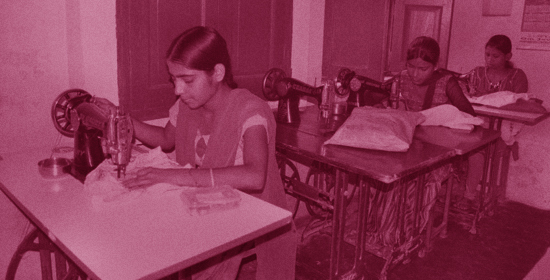 Divine Shakti Foundation runs vocational training centers in Rishikesh, where more than 1000 young girls and women receive free training in such fields as sewing, handicrafts, tailoring and fashion design. Additionally, we sponsor a computer center in Uttarkashi where more than 1000 boys, girls and ladies receive free computer education. 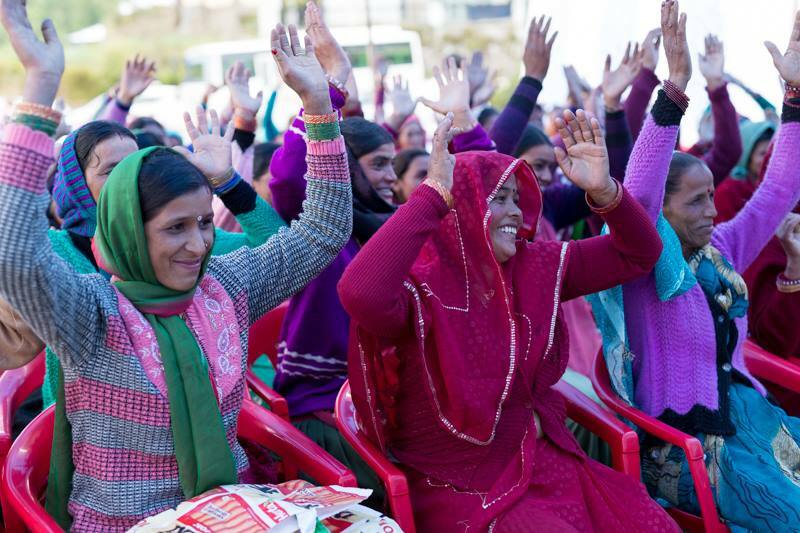 Additionally, Divine Shakti Foundation has built and sponsored the construction of vocational training centers for impoverished women and girls in Tamil Nadu, South India, Gaya, Lucknow, and villages in the Himalayan foothills. 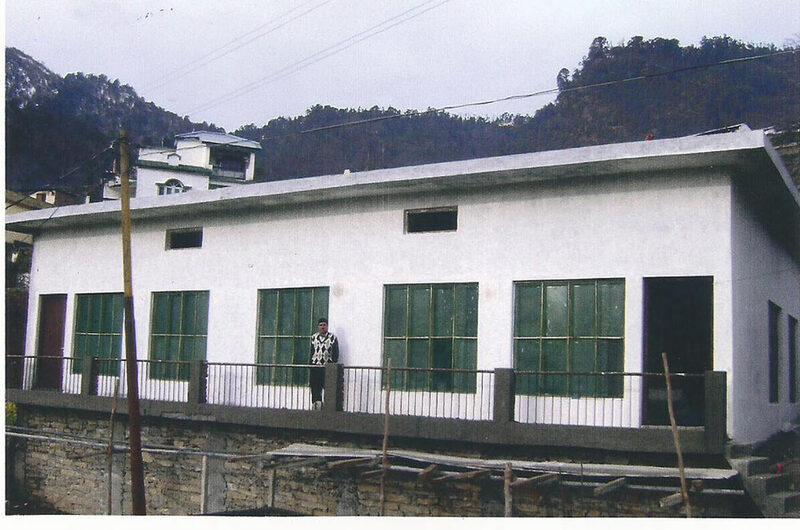 Divine Shakti Foundation is rebuilding schools that were damaged or destroyed during the June 2013 floods in Uttarakhand, which will be used as computer centres and vocational training centres. 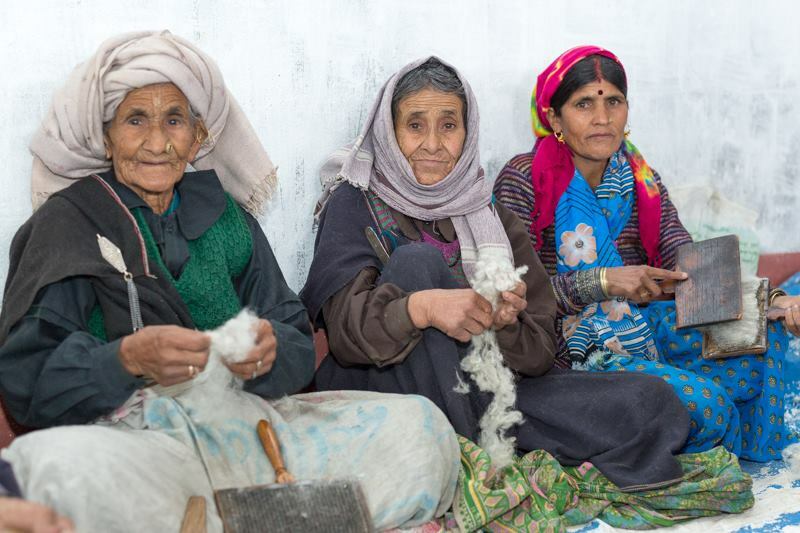 Just 25 kilometres from Kedarnath, the sacred spiritual pilgrimage site which was the centre of the Uttarakhand floods last year, Divine Shakti Foundation has constructed a new vocational training/ livelihoods centre. The centre will train 100 familiesfrom the region to spin and weave shawls, knit sweaters as well as other skills which will be marketable in the textile industry. 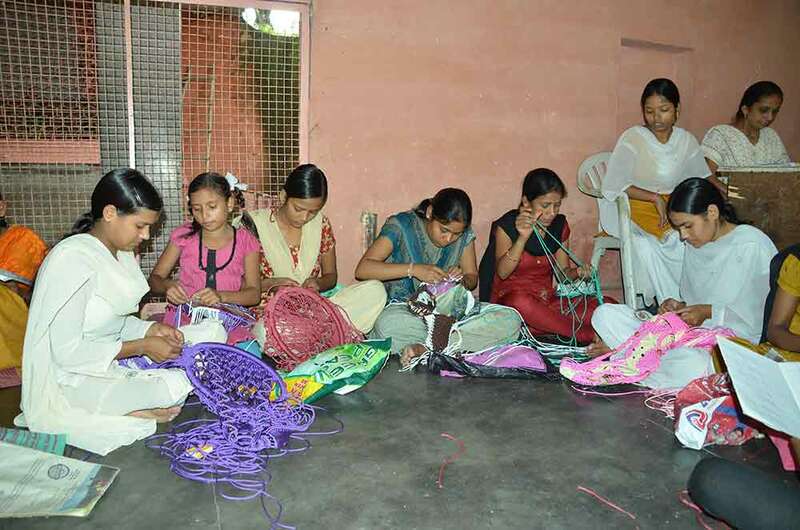 Additionally, Divine Shakti Foundation is partnering with institutions and companies to create buy-back programmes so that the women’s products are ensured a market in which to be sold, which in turn will guarantee them a steady income to sustain their families. DSF is also planning to build three additional livelihoods centres in the flood affected regions, benefiting some 500 families. It will also be working to create Centres of Excellence for the trained women to gain further skills in the industry so that they can not only survive but thrive. The systems, called Bio-Sand Filtration, are made from all-natural materials through a process developed by GIWA/DSF partners, the South Asia Fresh Water Initiative, Friendly Water for the World and others. LEARN MORE AOUT THE BIOSAND SYSTEMS HERE. 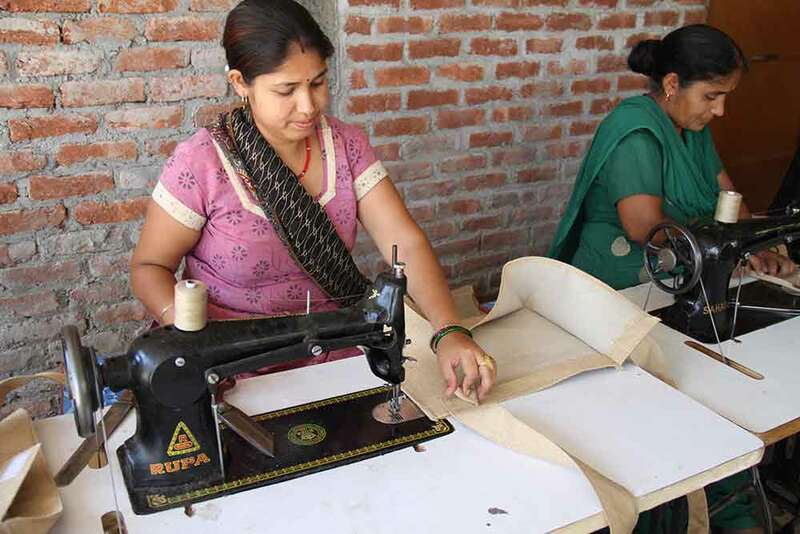 CLICK HERE TO LEARN ABOUT DIVINE SHAKTI FOUNDATION’S WASH PROJECT IN VOCATIONAL TRAINING CENTRES. Through the Nectar of Hope Programme, impoverished survivors have been taught skills so that they may learn how to also earn a living from their new animals, such as how to produce and market natural medicine and improved milk. Unfortunately, far too many children living in the Himalayas go without fruit, which contain essential vitamins and minerals necessary for proper health, simply because their families cannot afford it. Through the My Tree/ Mid-Day Fruit Program, which educates schoolchildren to plant and nurture their own fruit-bearing tree, mothers will be empowered to add to their household incomes through the creation of Women’s Empowerment Cooperatives, which will enable them to produce, package and market wonderful products made from the uneaten fruits of their children’s trees.